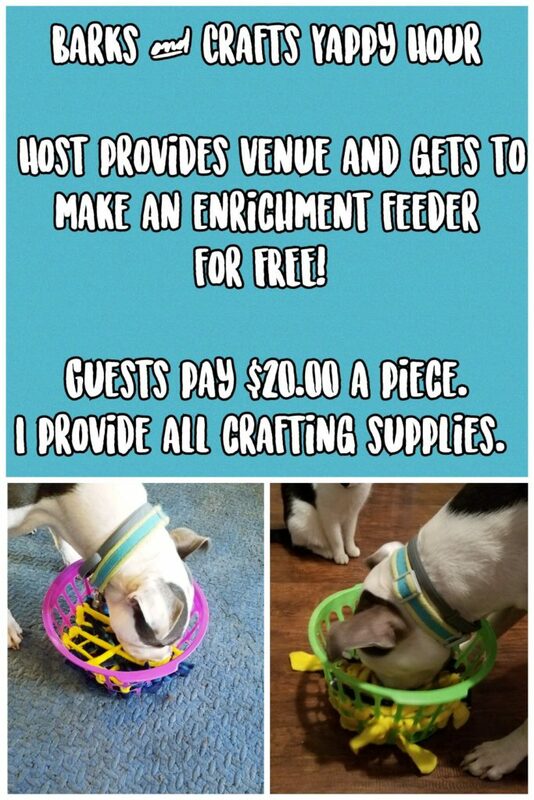 Do you like hanging out with other dog loving people while having some food, good conversation and maybe some drinks - all while learning about dog mental stimulation & making an enrichment item to bring home to your dog? Barks & Crafts Yappy Hour is for you! Email Leah@pawsitivecenter.com if you're interesting in hosting a party.